Navy blue is one of the classiest and most timeless colors ever. A navy blue dress, whether short or long, suits every body type. Accessorize it with funky jewelry, attention-grabbing shoes, or other fashion accessories that fit your lifestyle to add an eye-catching sparkle to this elegant hue. 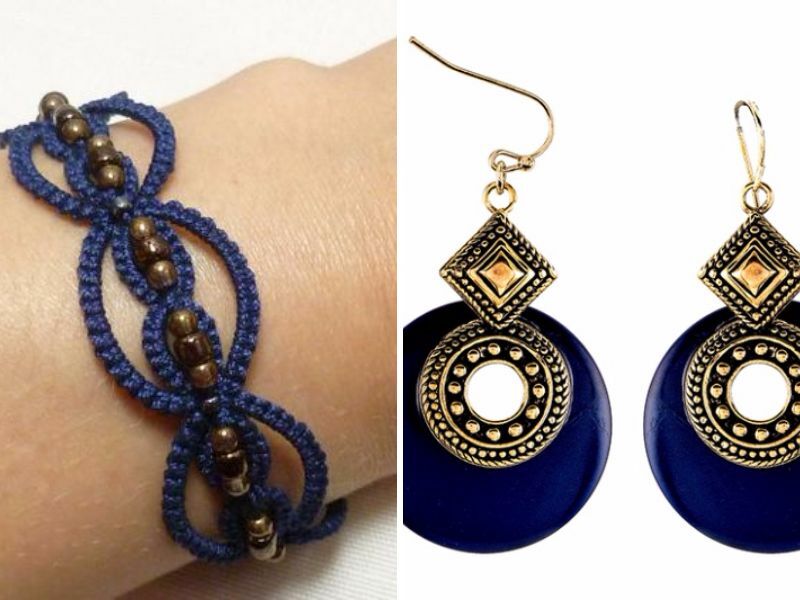 All you need to do is to decide which color jewelry goes with dark blue. Here are some of our suggestions to make it an easy choice for you. Gold is the most traditional color that goes well with navy blue. Get a bright look with glitzy gold accessories. Whether it’s a gold brooch, a delicate gold headpiece, earrings, bracelets, or rings, gold guarantees a style that stands out. Even a simple gold beaded belt with cutout details around your waistline gives a chic appeal. Choose your accessories according to the event: simple jewelry for formal events, but experiment with more for weddings that are more laid back. Silver is another accent color that is traditional as well as contemporary. 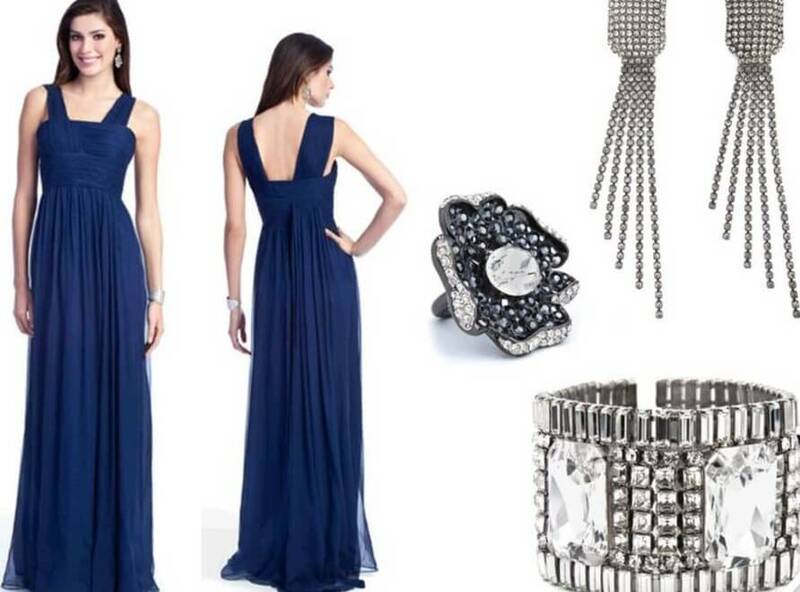 Silver pieces of jewelry on navy blue are perfect, especially for evening events. Delicate jewelry constructed with solid silver and real gemstones is enough to achieve a bold style. A statement necklace, radiant and shiny earrings, brooches, or headpieces can be combined to add dazzle to your style. 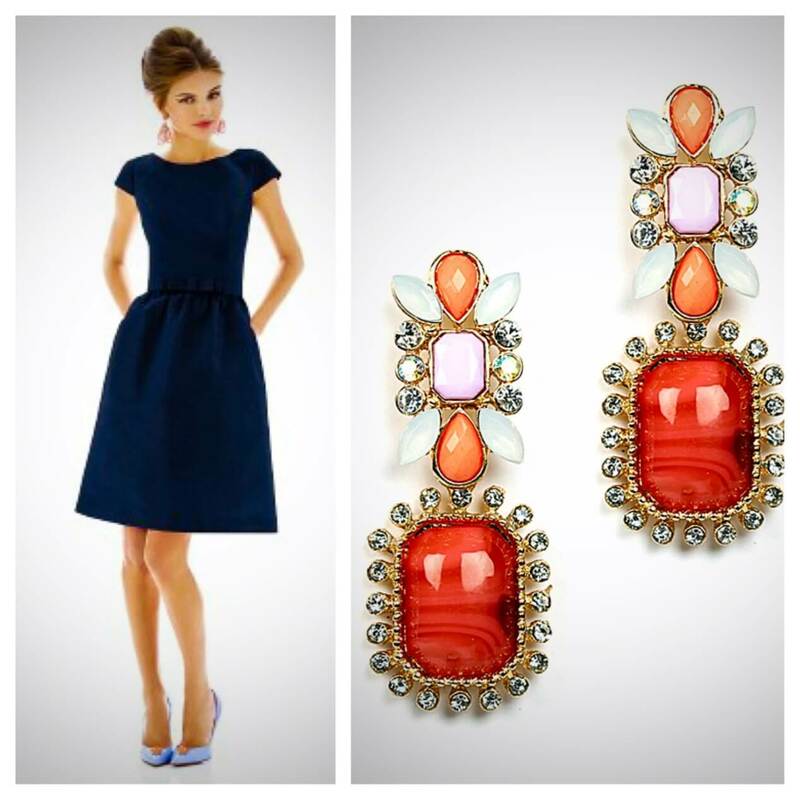 Bedeck your elegant navy blue gown with bejeweled bronze pieces. Bronze is a classy shade with an antique allure that any girl might desire. Whether you don a simple party gown or a bridesmaid’s dress, bronze jewelry adds just the right touch to complete your look. 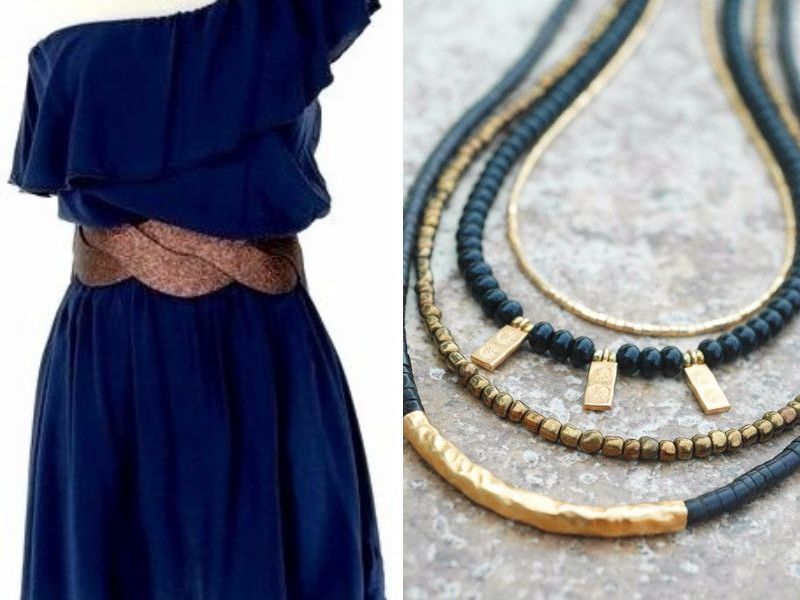 Well designed or beaded jewelry pieces and bronze belt can give a stunning look to a simple blue dress. 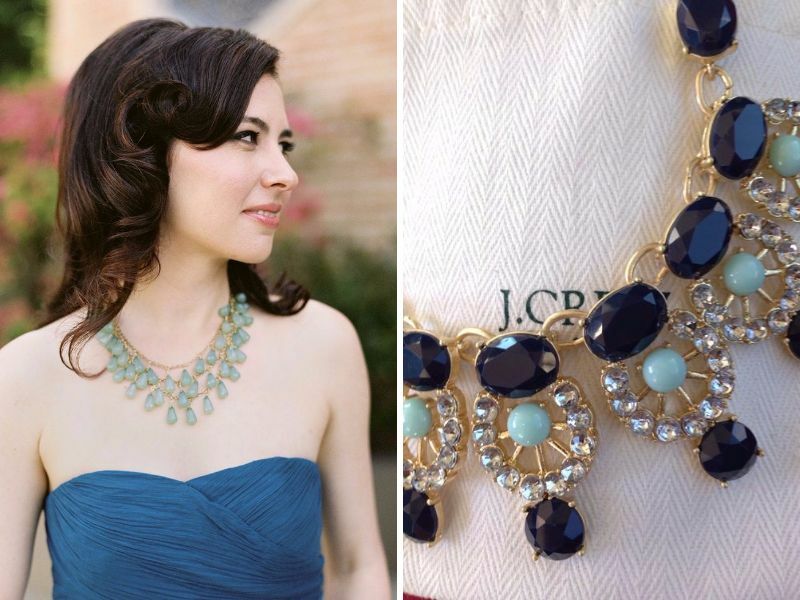 Bridesmaids often wonder: Which color jewelry goes best with dark blue? Dress to impress with the fresh blue of turquoise jewelry and other fashion accessories. 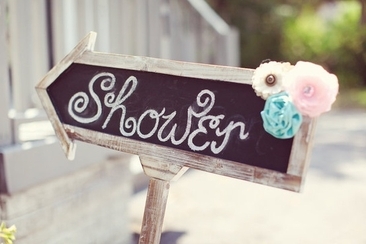 Turquoise jewelry is most suitable for daytime events, especially a party at an informal venue or a beach wedding. Turquoise necklaces, turquoise vintage-style rings, and cuff bracelets with antique turquoise stones are just a few examples of timeless jewelry featuring this semi-precious stone. The modest and somber navy blue dress can be accessorized with a bright shade of yellow. 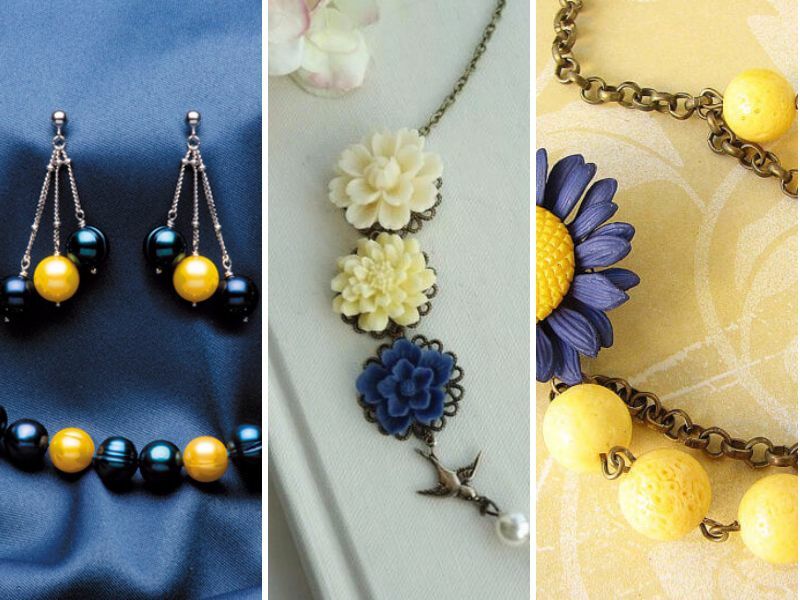 Yellow necklaces, delicate headpieces, bracelets, or simple stud earrings can add a funky look over a navy blue gown. Either solid yellow pieces or accessories that are a combination of yellow and navy blue are both great options to go with. White accents are also quite trendy with this combo. Mint is all about adding a fresh, classy look. This spring toned hue makes the most elegant jewelry collection. 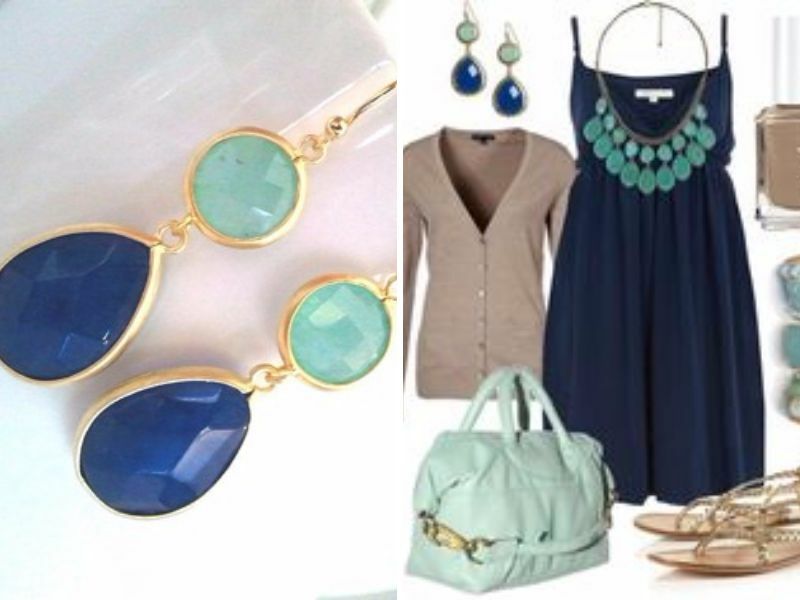 Especially for a dress as royal as a navy blue, mint jewelry is a great option to add a little classy fun. Whether you choose earrings, a necklace, or bracelets, this hue is most suitable for day-time events. Ladies who want a classy and chic look must try this combo. Accents like gold or ivory can help the mint jewelry pop while tying in your navy dress to achieve an elegant look. A blazing hue like coral can also be effectively tried when you do not have any idea of which color jewelry to wear with your dark blue dress. This eye-catching color can be used in many ways to perfect a bold and majestic look. 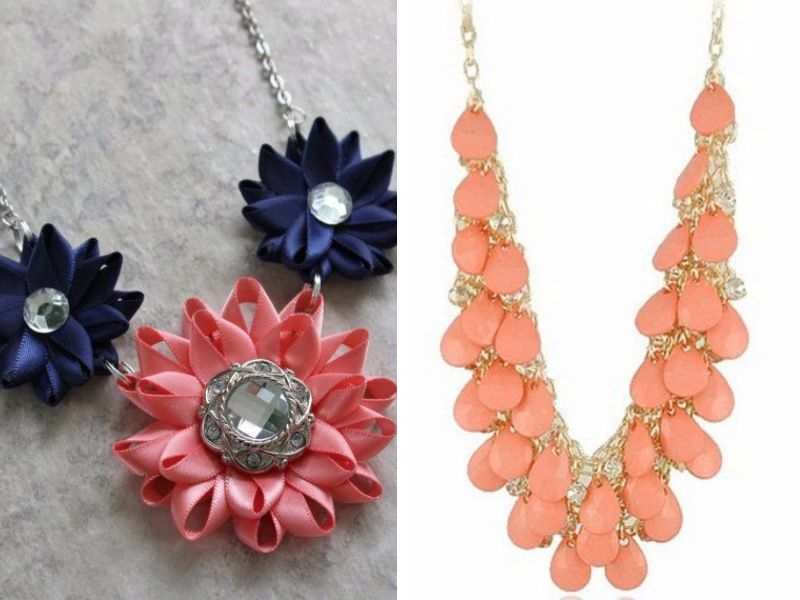 If it’s a wedding event, try a coral statement necklace with earrings. 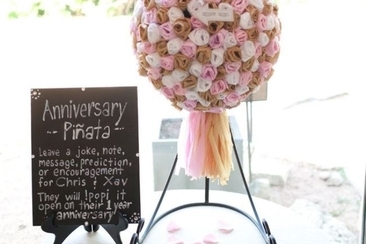 Keep it simple and small if it’s a formal event. Gold and silver are the best accents for this summery color. 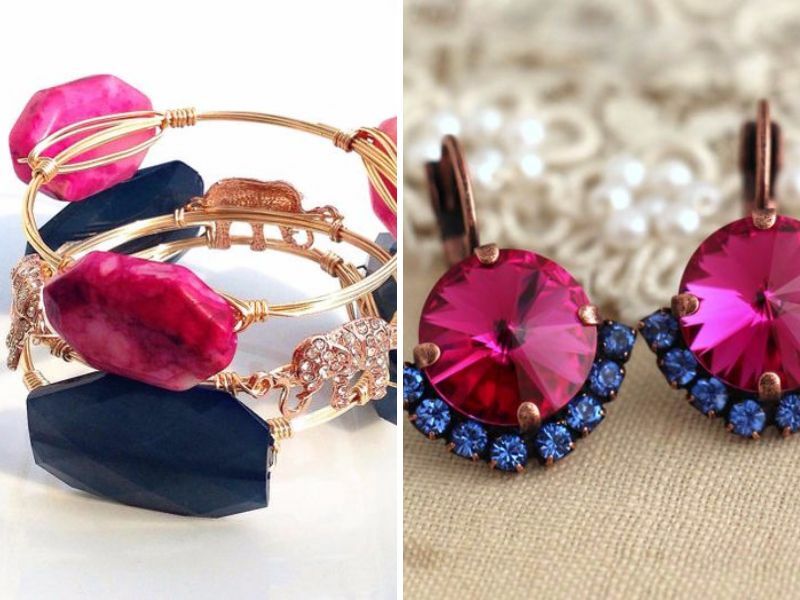 Combine your navy blue gown with a dreamy set of accessories as pink as cotton candy. The combination of a romantic, soft pink with a graceful blue is one of the most traditional combinations ever for parties or even bridesmaid’s dresses. Layered necklaces, studded rings, earrings, bauble bangles - there are so many styles to try! Pink is a shade that encomopasses many different hues, so you can try any of them and they all match with blue. Choose the accessories with golden accents for a slightly more formal appeal. The pearl is a timeless choice. It is the epitome of perfection when paired with a navy blue dress. 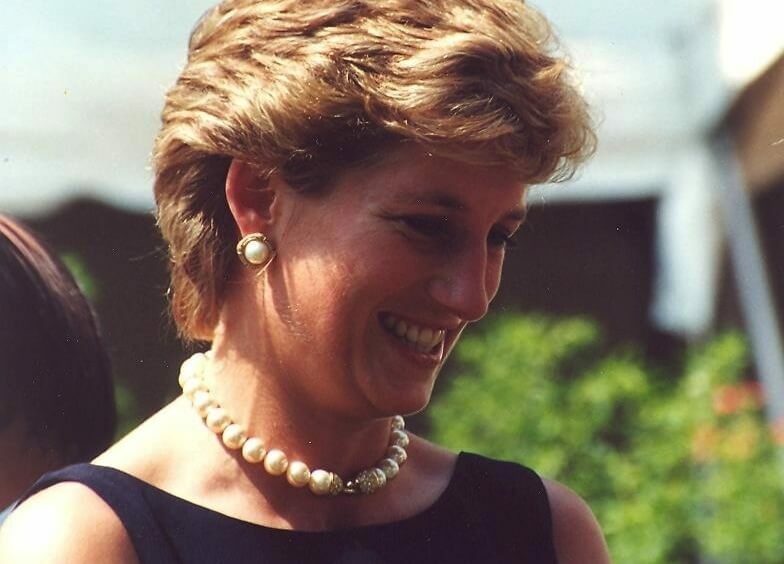 Princess Diana wore this combo several times. Irrespective of age, time, and event, pearl jewelry is always on trend. 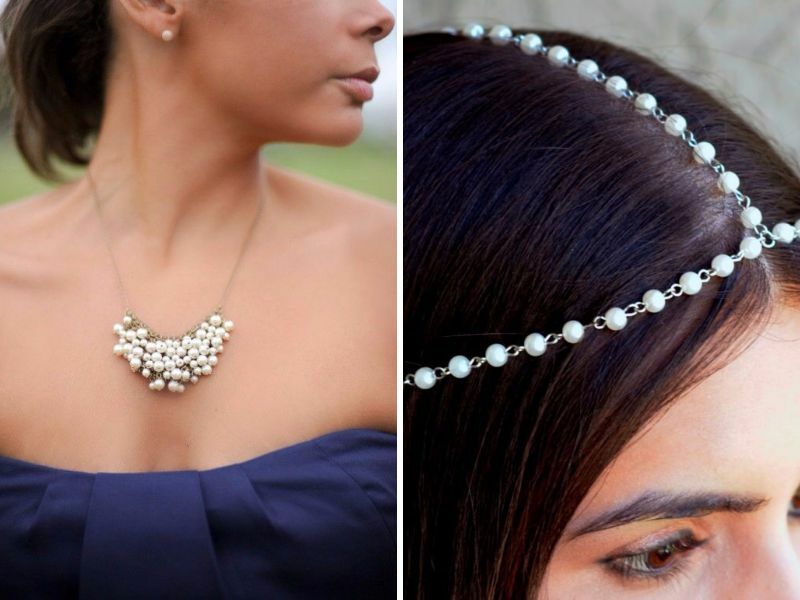 Earrings, necklaces, or headpieces, and bangles are only a few of the options to try. Wear a simple strand of pearls or change it up with white or blue pearls clusters - the combination works well either way. This muted gold hue, known as champagne, is an elegant jewelry choice, and when paired with a navy blue dress, is perfect for evening parties or weddings. 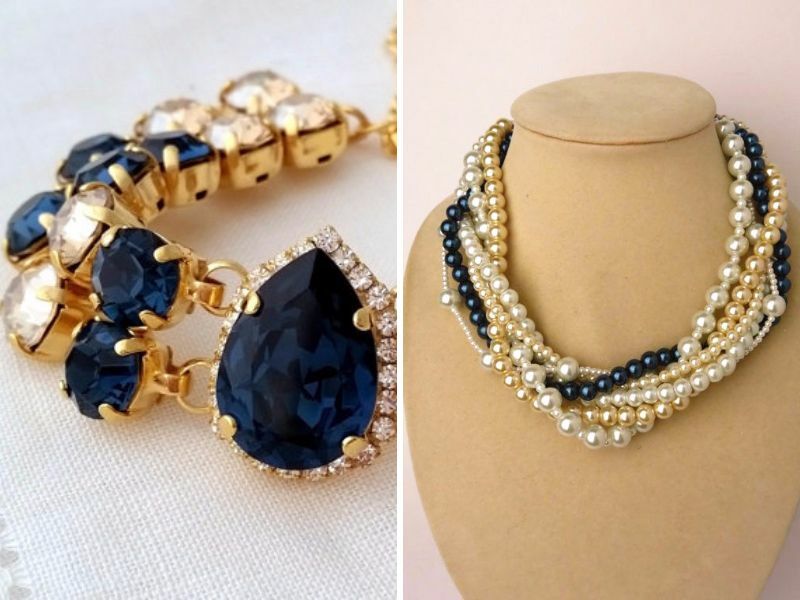 Either champagne-hued crystal jewelry or champagne colored pearls look fascinating and add grandeur to the blue dress. Bronze metal accents are considered the best match for this hue. These crystal clear earrings, rings, bracelets, necklaces, and any other type of jewelry not only sparkles from every angle but will give you a flawless look. 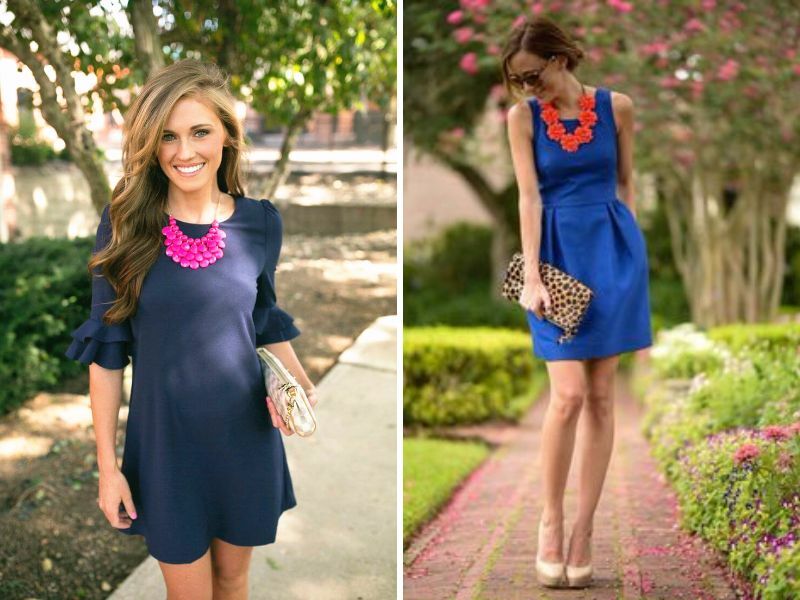 A navy blue dress is trendy for every season. All you need to change is the accent color that you choose to accessorize it with according to the season. 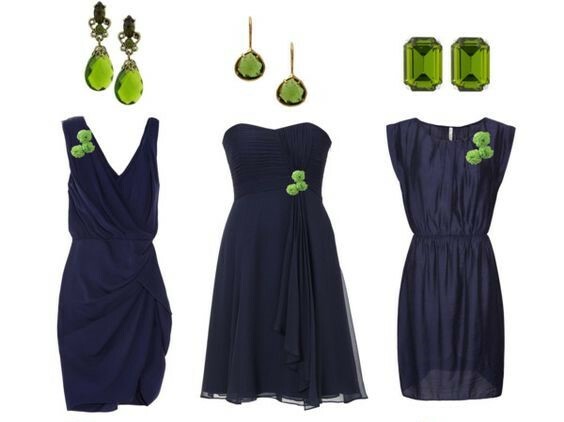 If it’s a spring wedding or event, a bright, fresh hue like lime green is a marvelous addition to brighten your attire. 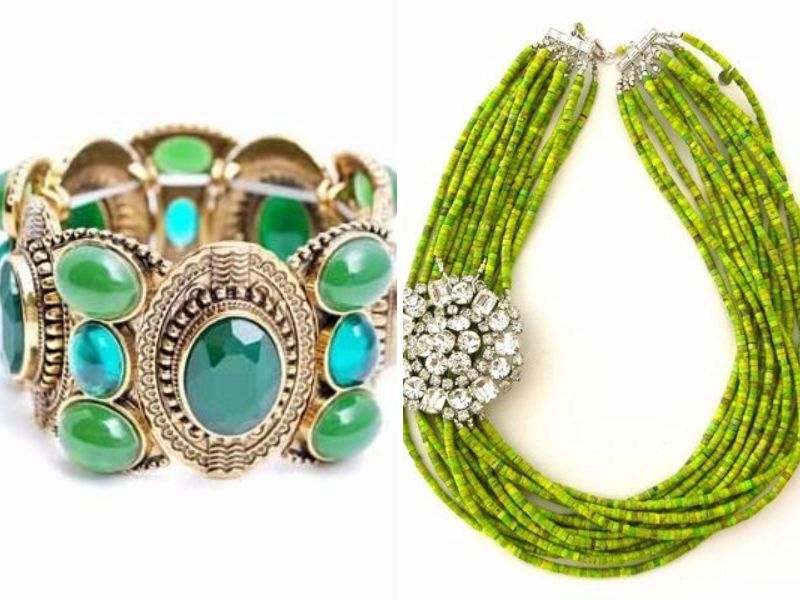 Lime green jewelry of any sort is simultaneously complementary and contrasting with a navy blue gown. Are you a bride or a bridesmaid wondering how to accessorize your strapless dress? 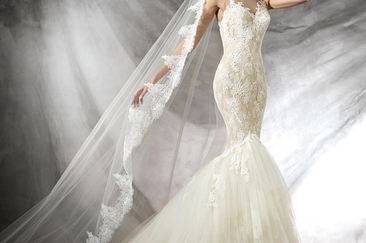 Don’t worry, we have some amazing tips on how to choose necklaces for strapless dresses here. Looking for jewellery for one shoulder dress? It is quite tricky to get the right ones to complete your look. But don’t worry, we have some amazing tips for you. Keep reading. Thinking "I don't like my husband family"? Then you're in trouble. Family is such a big part of your husband. 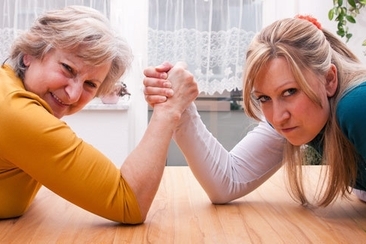 But you can deal with it and maintain a happy marriage with some tips.